How IBM® QRadar® SIEM made log information from many data sources more helpful in managing compliance. Watch a short introductory video explaining the QRadar platform workflow. The capabilities and benefits of the IBM QRadar Security Intelligence Platform and the IBM Security App Exchange. Find out why Forrester analysts rank QRadar as a leader in security analytics. Learn how the QRadar Security Intelligence Platform scales to meet the needs of organizations of all sizes. 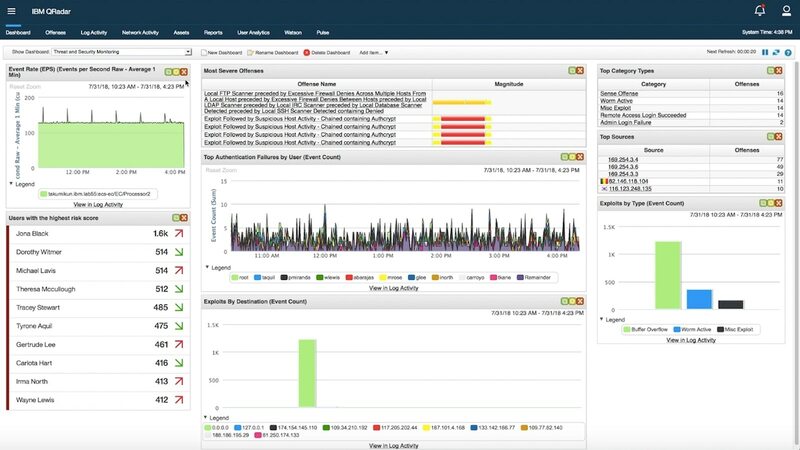 Learn how IBM QRadar Information and Event Management (SIEM) detects threats. Explore how IT security teams investigate suspected network attacks, breaches and data loss scenarios using QRadar.